Welcome to Bless You Boys! Share Welcome to Bless You Boys! Hi! We'd like to give you a big Tiger welcome to Bless You Boys. We're glad you're here. No matter how or when you found us, we want to help you get involved in the site as fast as we can, so we wrote this guide of the who's and what's of Bless You Boys. You can find a copy of the rules here. In short, we want intelligent conversation. (And don't worry, that doesn't mean you have to be a sabermetric user. If just means you have to have a good reason for believing what you do.) We want people who can disagree with each other in one thread and have fun together in another. 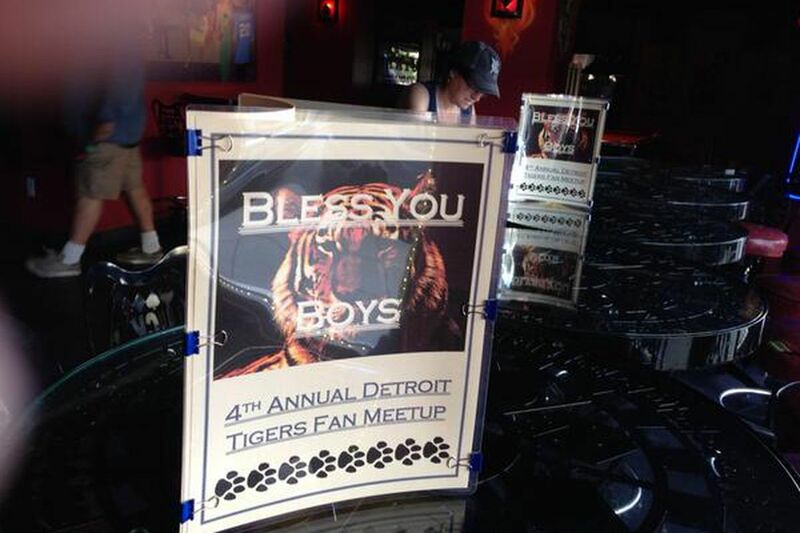 We hope BYB will be a fun place for Tigers fans to interact. People should feel safe to do so. We've worked hard to establish the culture here, and our members value that. It might not be the same culture as some other sites, but it's ours, and it's a big reason BYB is successful. Finally, remember when you visit other SB Nation sites you represent BYB. Heck, even if you don't visit them you still represent BYB by what you say in the comments. Represent us well. Please let us know your thoughts at bybtigers@gmail.com. HookSlide and Rob talk Tigers baseball. The Voice of the Turtle can be streamed on-demand over your iPhone, iPad, Android phone, Android tablet, BlackBerry, or via the web on Stitcher Radio. You can find links to the app at Stitcher.com, the iTunes App Store, Google Play and other device app stores. The Voice of the Turtle is available on iTunes! FanPosts and FanShots allow you to write your own stuff. FanPosts are for blog posts. (Here's how to do that.) Generally, these posts should be areas not already covered by Bless You Boys. Simply repeating areas of coverage we already do really doesn't benefit anyone and occasionally results in the FanPost being deleted. If you have a link, a photo, a video, share that with a FanShot instead. We always promote the best ones. Pay attention. Get a feel for the culture. But just jump right in! There's never a bad time to get involved, just do it. Introduce yourself and learn about others. Ask questions if you don't understand things. Share your thoughts. Talk about whatever in a game thread. Above all, just have fun. GameThread: Tigers vs. White Sox, 7:10 p.m.
FanPost Friday: Rank the other 29 MLB teams! Links: Niko Goodrum looks like the real thing The Tigers’ utility man is displaying the characteristics of a true breakout hitter. Miguel Cabrera’s lack of power is becoming a problem The big man seems healthy, but the Tigers really need him to produce power again. Alex Faedo rocked while Derek Hill continues to roll Scores, news, and notes from around the Detroit Tigers’ farm system for Thursday, April 18, 2019. Game 19 Preview: White Sox at Tigers Chicago’s Carlos Rodon is the first left-handed starter the Tigers will face in 2019. Tigers 9, White Sox 7: DON’T CALL IT A COMEBACK The Tigers scored a season-high nine runs en route to a chaotic win against their divisional rival.